We wish we had a $100 for everyone that said, "I gotta get in shape before I come see you guys." Uh, what exactly is it you think we do at Gateway CrossFit?? So no more excuses. 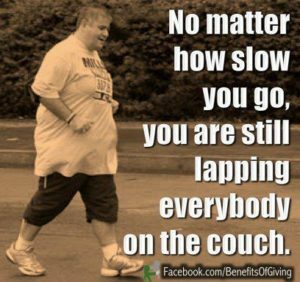 Get off the couch and start lapping the old you! Picture from: http://www.facebook.com/benefitsofgiving … [Read more...] about Amen!!! When scaling a workout, remember that the Push-up is a much a 'core' movement as it is a 'pressing' movement. 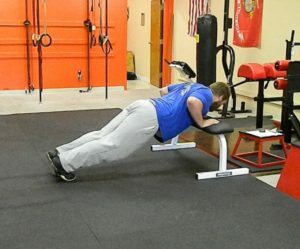 Depending on the athlete and the desired stimulus, sometimes a push-up from the toes with an altered angle is preferable to a push-up from the knees. … [Read more...] about Scaling choices. [youtube=http://www.youtube.com/watch?v=uCFZoqmKf5M] Thanksgiving and Christmas are over and so is the diet decadence. Now is the time to get serious! 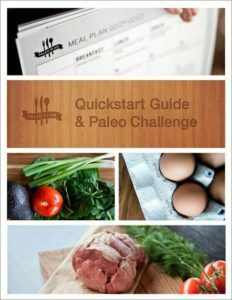 We strongly recommend you look into the Paleo Diet by Loren Cordain. This video is a nice breakdown of the what and why behind the Paleo Diet. Check it out. Also, Robb Wolf’s book "The Paleo Solution: The Original Human Diet" is a must read. Robb has done some phenomenal work and presents both the science behind the diet as well as layman’s … [Read more...] about Ready to get serious? Are you sprinting? If not, you're doing yourself a disservice. Sprinting builds speed, power, VO2 max, and has a huge metabolic cost. 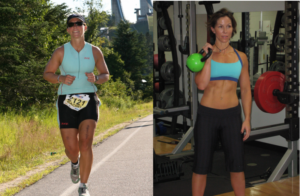 It makes endurance athletes better runners, it burns fat, and it turns you into an athlete. EASE into it today! … [Read more...] about Book it! 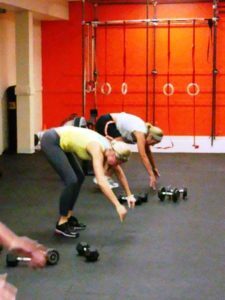 CrossFit is universally scalable for all fitness levels; and Gateway CrossFit specializes in teaching you all the movements with correct form and proper progressions. You'll lose fat, gain lean muscle, achieve true functional fitness, and do things you didn't even know you were capable of! Don't wait any longer, dive right in. … [Read more...] about Dive right in!